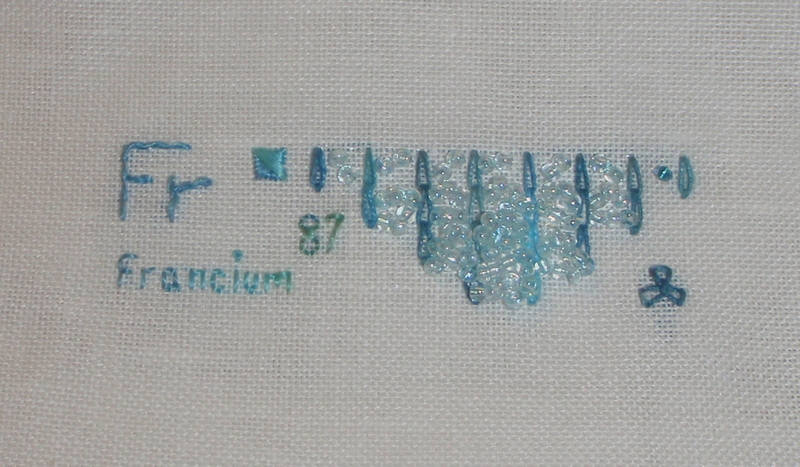 From element 1 to element 94 are now all partly done. 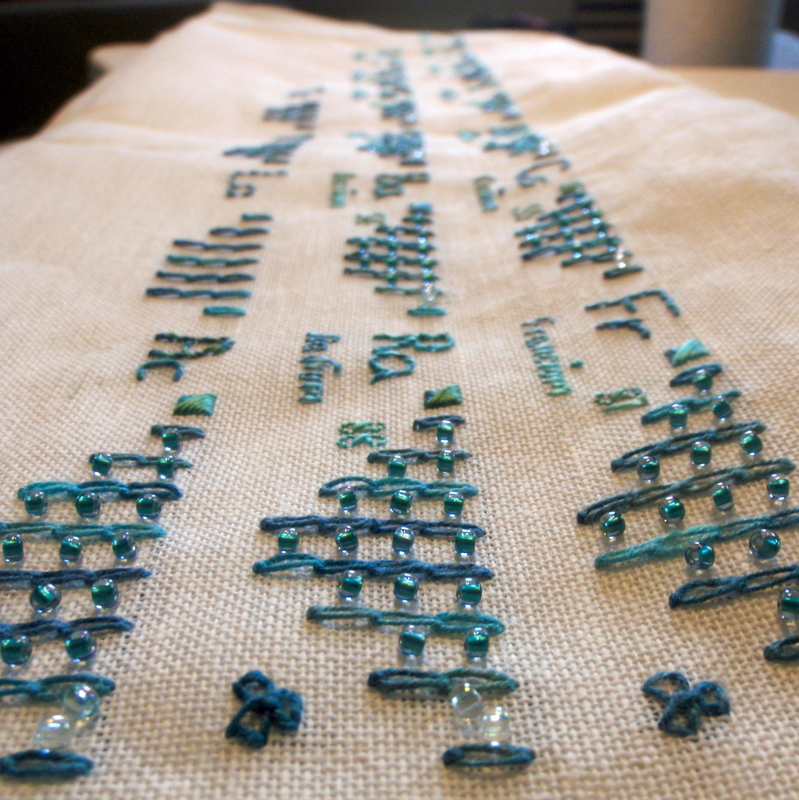 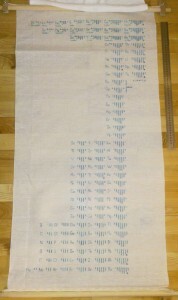 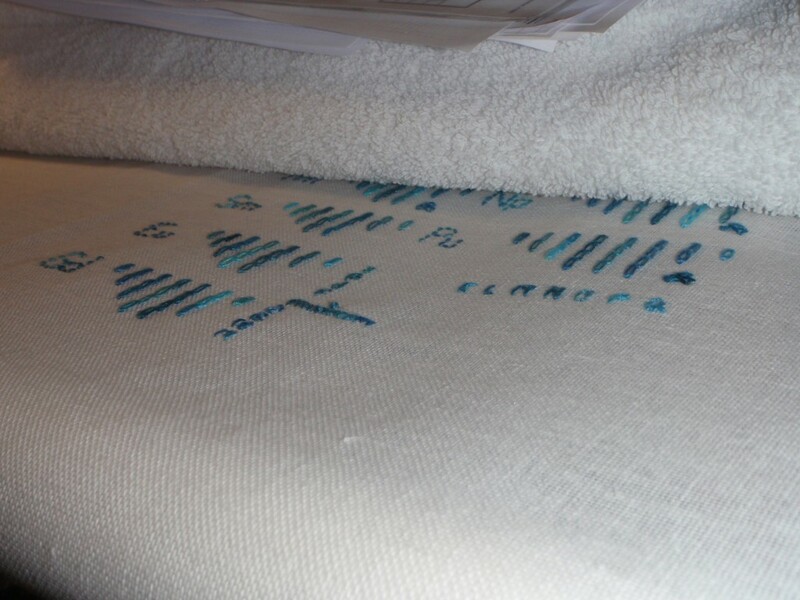 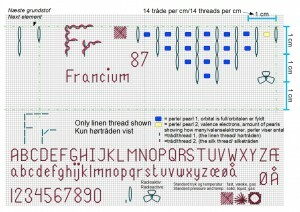 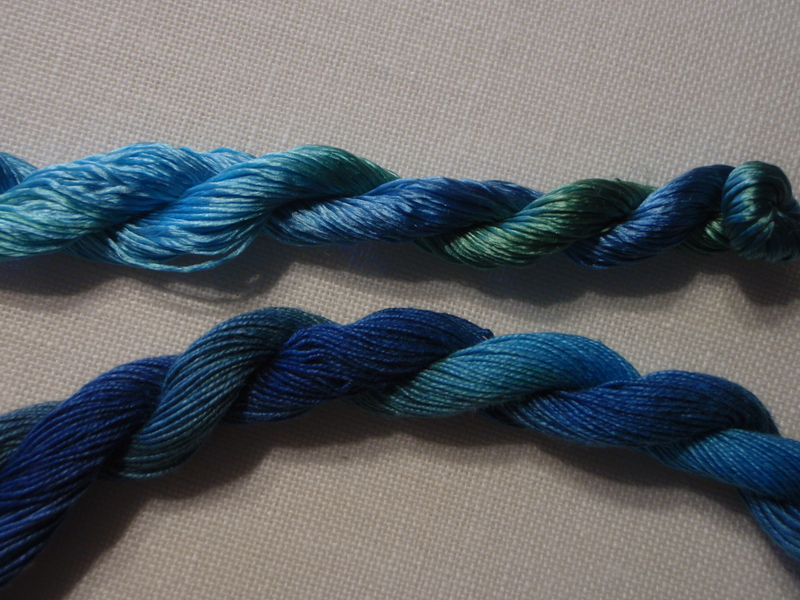 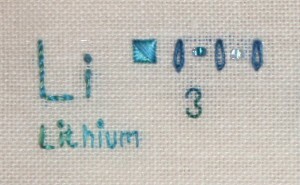 The parts of each element with linen thread are all complete. 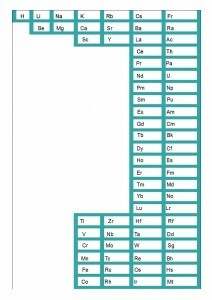 This gives an overall overview of the periodic table and where there is room for additional motifs. 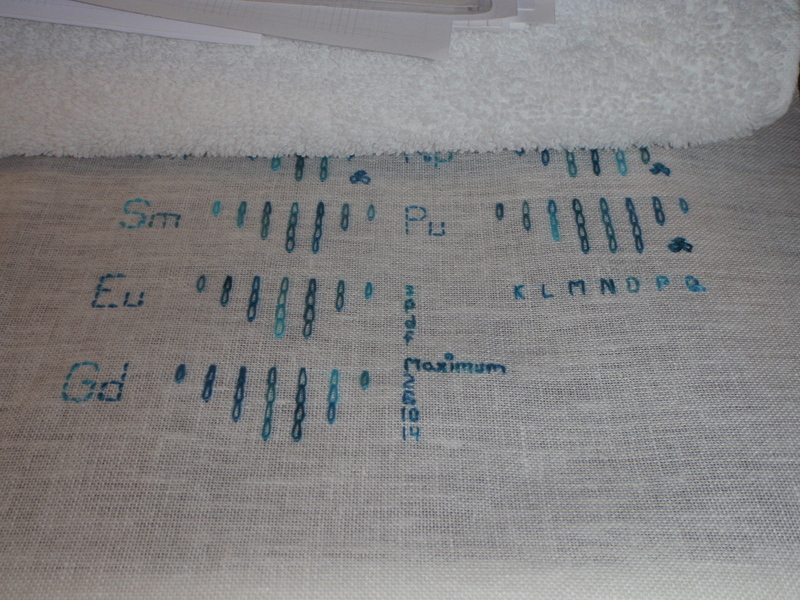 The elements at the top are completely done. 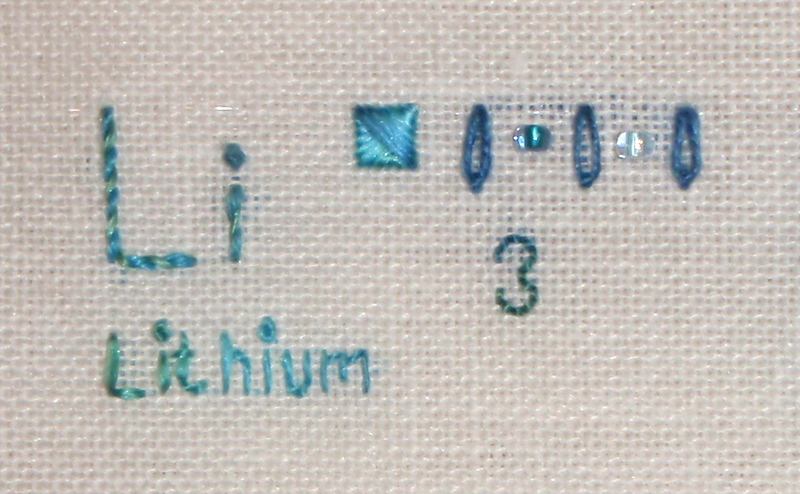 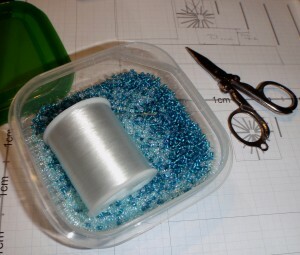 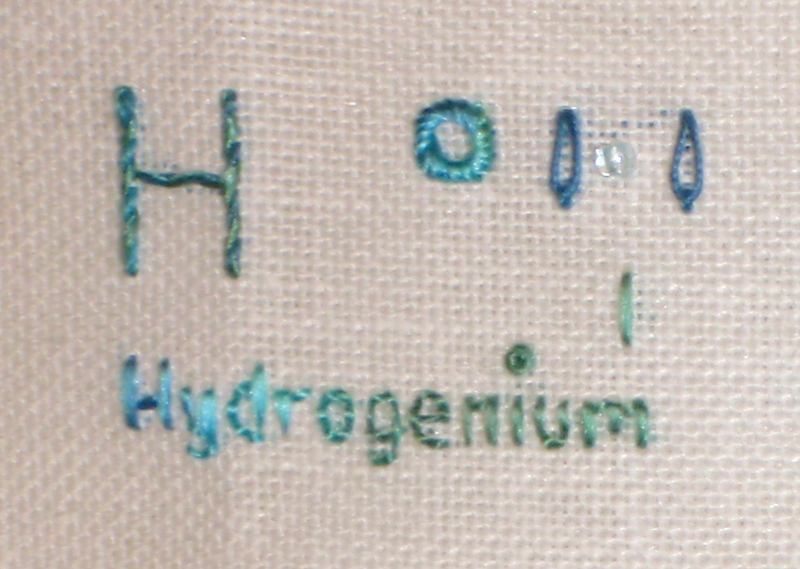 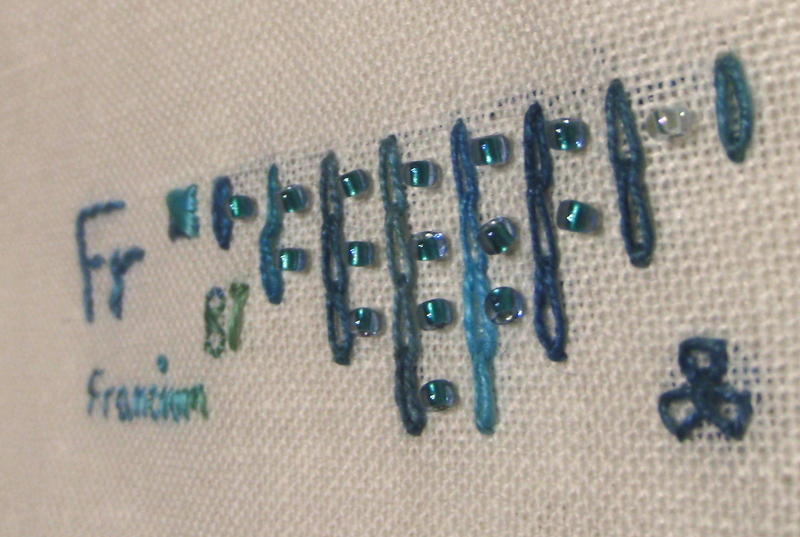 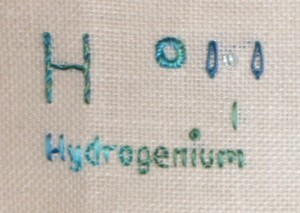 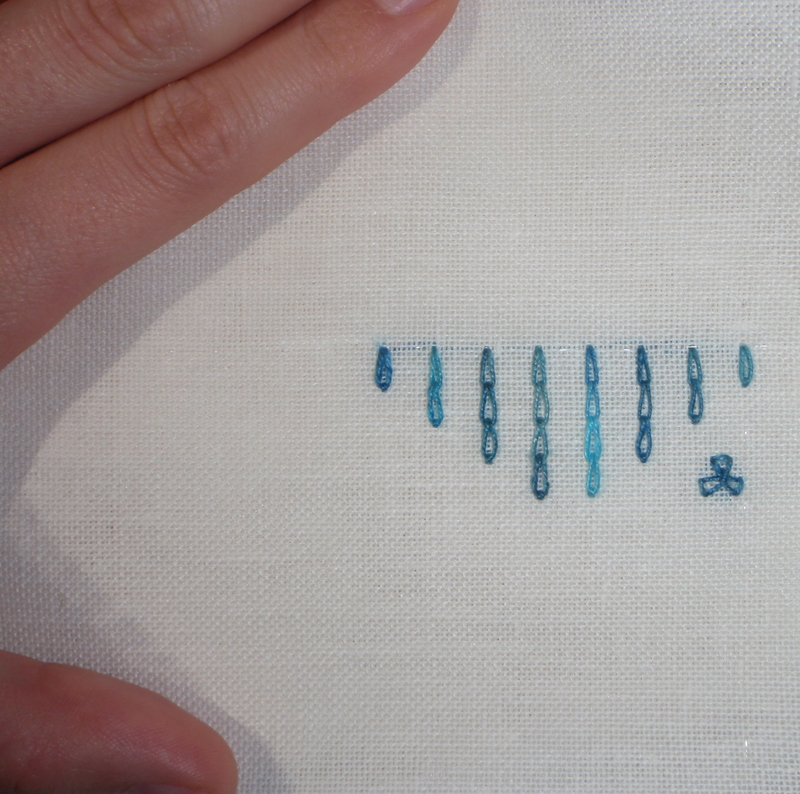 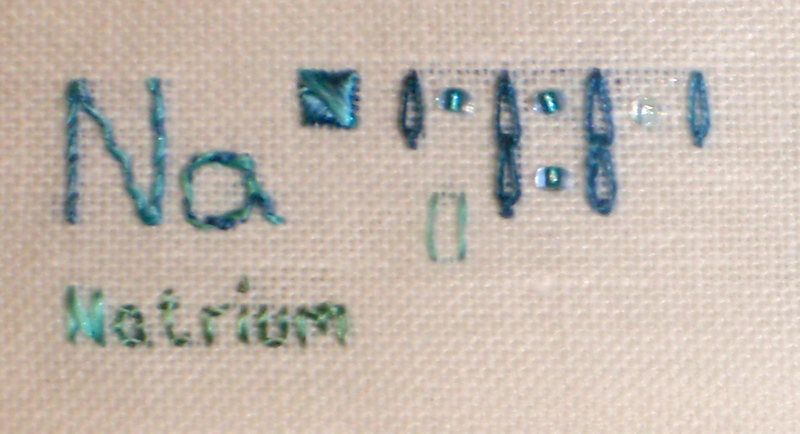 The rest of them are missing the parts made with the silk thread and the beads indicating the electrons and the filled orbitals. 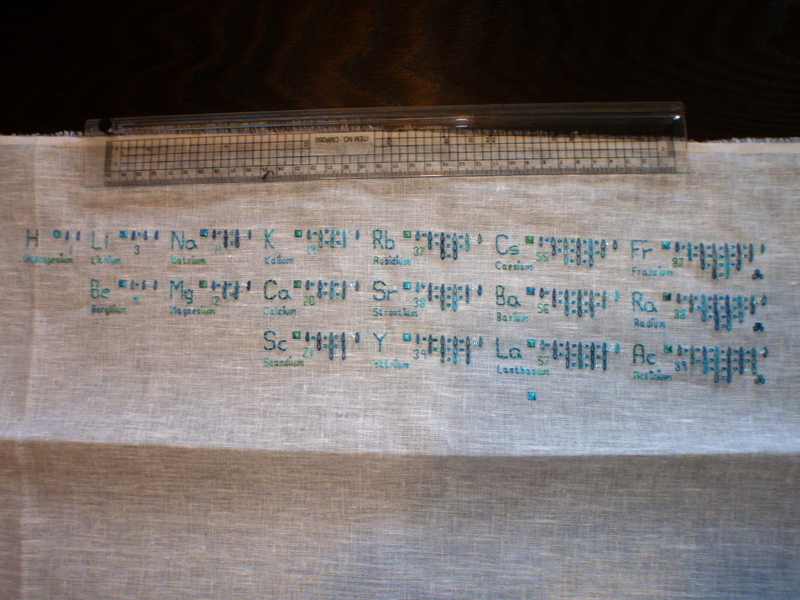 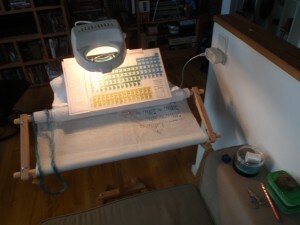 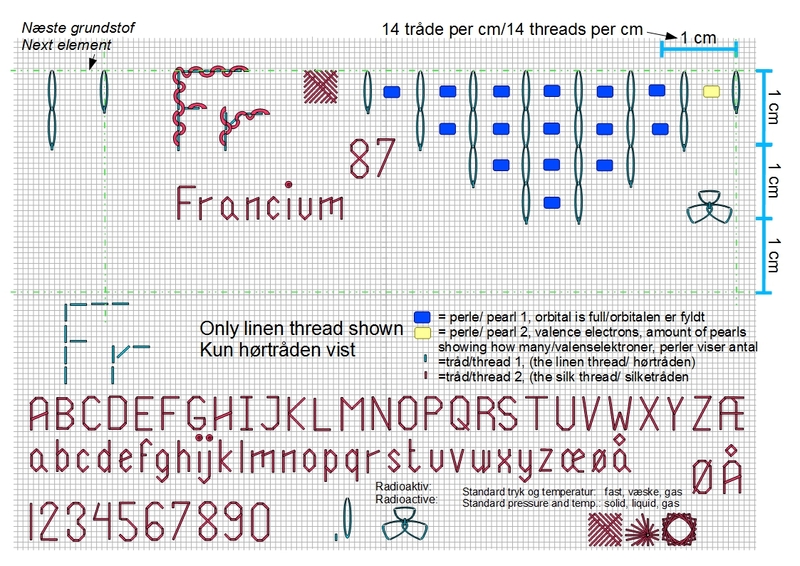 Besides this I “only” need to stitch some decorative motif and make the finishing before my periodic table can be hanging on the wall in my living room. 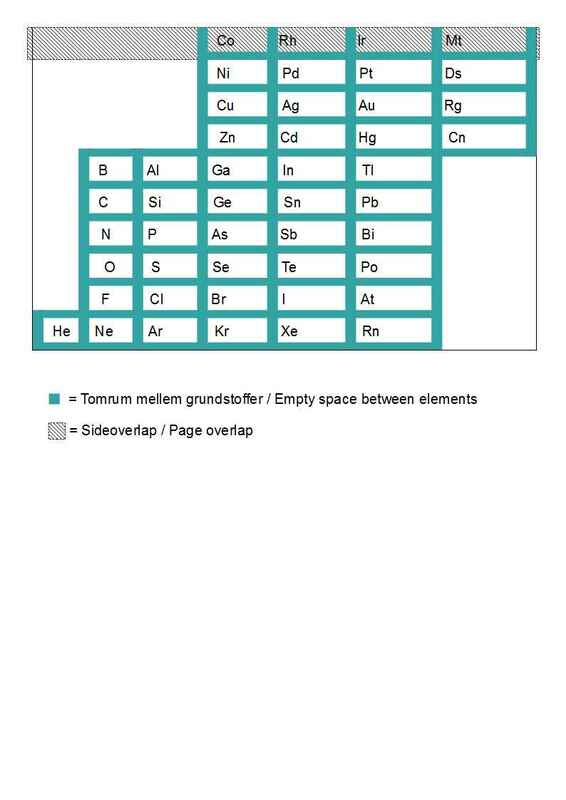 If you look closely at the picture with an observant eye, you will notice two elements being there two times. 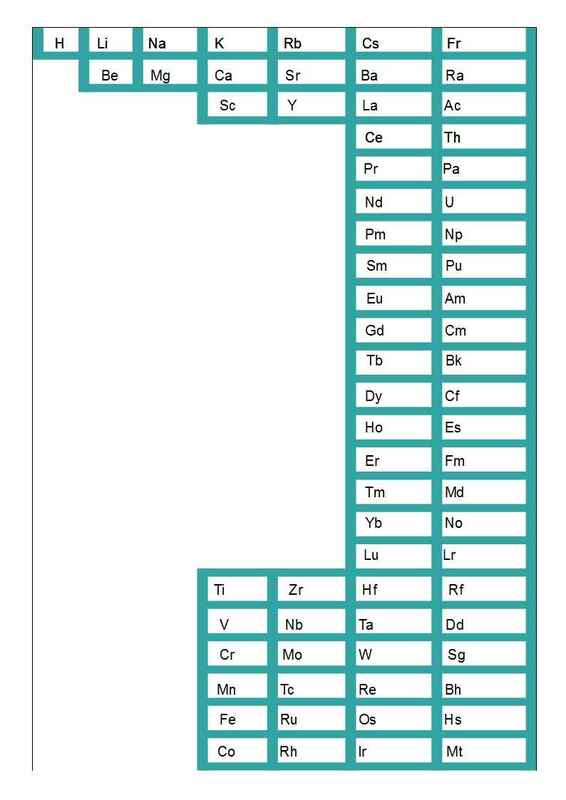 The reason for this is that IUPAC(International Union of Pure and Applied Chemistry) is in the process of making a recommendation relating to the placement of these elements. 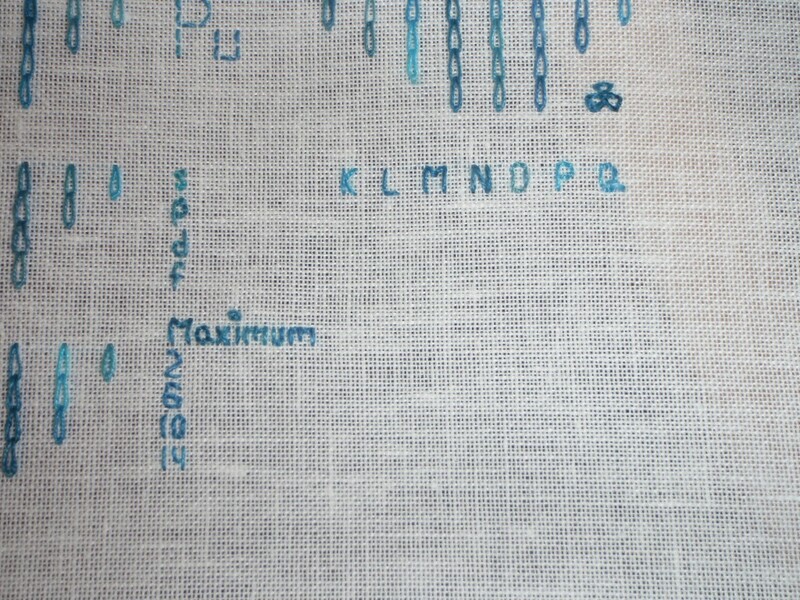 I hope they reach to a conclusion at their next meeting. 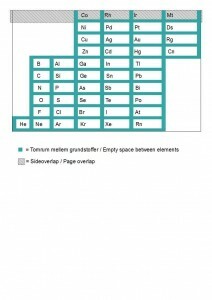 A link to the IUPAC project regarding this. 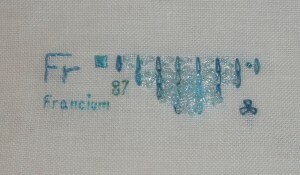 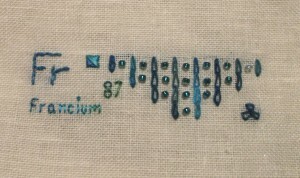 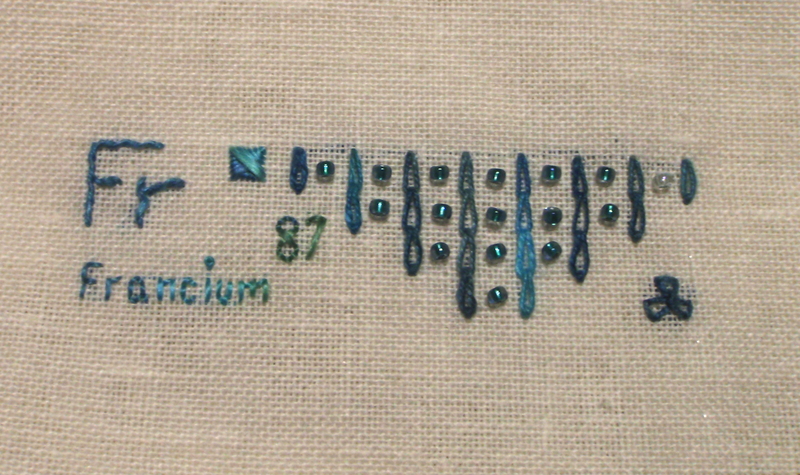 This entry was posted in Stitching the periodic table on December 9, 2016 by Tea.